D’Arcy Harrison of Vagabond Alley Productions decided to produce her most recent piece via crowdfunding–an increasingly common way to make theater in Seattle. 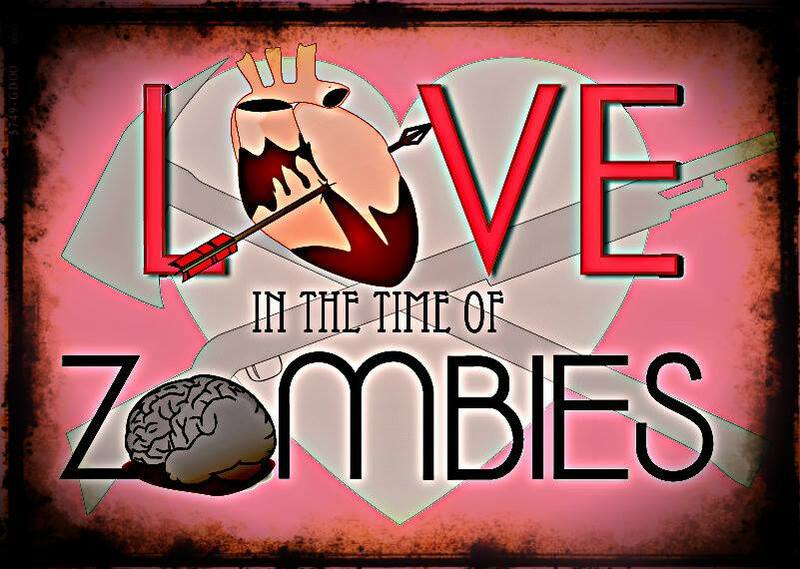 I caught up with Ms. Harrison and we talked about her upcoming zom-com, Love in the Time of Zombies. Seattle Star: When did you first read Damian’s script? D’Arcy Harrison: I first read it when I was searching for a submission to Seattle Fringe Festival for 2013. I was looking everywhere online for a small scale production with two to four characters/actors that would be fun to do and market. And since it didn’t get picked in the lottery for that I told Clayton Weller at Pocket I wanted to do it with him. The rights company is UK-based. Damian is British but lives in Vancouver, and he says he wants to bring a group down when we perform! Seattle Star: That’s awesome. What struck you first about the script? Beyond the zombies, I mean. D’Arcy Harrison: The dialogue between the husband and wife was so fresh, quick and raw. And the show was very character driven as well as being possible for low production value. Seattle Star: You have a fantastic cast for the show. When you decided to produce it, did you have actors already in mind for the roles? D’Arcy Harrison: I didn’t! I knew I wanted to invite particular actors to read but I was wary to do a huge open call because the relationship between Brian and Susan is so specific. I knew I would really need someone I trusted. I had worked with Jason Sharp before and he’s an utter joy to partner with. We previously appeared in Capitol Hill High, Episodes 4 and 5 together over five years ago. Robbie is a former castmate of Amelia Meckler’s, my director. She worked with him in The Bacchae by Greenstage last fall. He was very dynamic and funny and when he read for me he got the stakes of the role right off the bat. Seattle Star: Ms. Meckler is an extraordinary choice herself for director. D’Arcy Harrison: She is! She will definitely be an actor’s director because she is one herself. Plus, she understands how I like to work at Vagabond Alley, that we want to minimize expenses as well as do a lot of private work before getting feedback from a director. She served on the panel for Oleanna, our debut production in 2002. She understands the importance of fleshing out the characters and relationship in order to tell the story right. Seattle Star: What made you decide on crowdfunding to produce this piece? D’Arcy Harrison: Well for one, I am a small business owner who only has so many resources in regards to capital. Also, I wanted people to get excited about the project itself and to feel part of the process. It’s exciting to see an idea go from a baby to a full-fledged artistic adult. I believe marketing is absolutely key to promoting fringe theater. We are an artistic business and we have to remember that we aren’t performing for an empty room, we are inviting the public. Seattle Star: Does crowdfunding, for you, give the public a sense they are personally invested in the stakes of the production more than a traditionally produced work? D’Arcy Harrison: Yes. We aren’t swayed by a corporate sponsor or being limited by what we do due to nonprofit status or grant writing. If we can make a profit, great–more for the team–but honestly, profits are hard to make in theater, so if we have some financial support at the outset it really helps mitigate cost. Seattle Star: You’re just about halfway on your goal, with a couple days left to go. What would you say to a person who is not a regular theatergoer to get them interested in your project and in the piece itself? D’Arcy Harrison: I would point out that this show can be funny! Although the married couple are fighting and zombies are running the neighborhoods that there is some light to the show. I would also say that the people I have brought together are all amazing, contributing members of a collaborative team. Also, the rewards we offer are awesome! 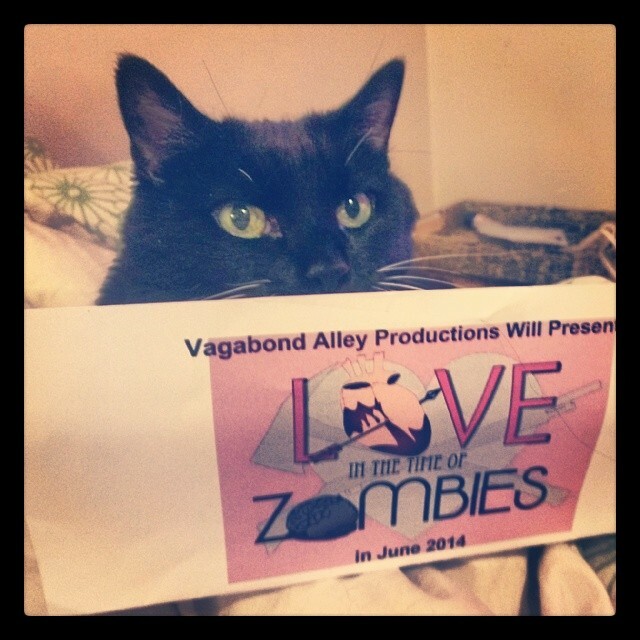 Facials, theater tickets, walk on zombie roles… Wait–what!? Zombie role!? What a fun experience–and you can show it to all your friends when we release the trailers in May! Seattle Star: All your premiums are awesome. A lot of them have gone really fast. How’d you get all those cool people to give you stuff? D’Arcy Harrison: Well, I am lucky to have such generous friends! Some offered when I talked about starting the campaign and others I asked individually because I knew they had products or services they could offer and I knew it would be good marketing for these small businesses. Seattle Star: That’s an excellent way, too, of getting them involved. Like having a whole city of people behind you, from all walks of life. D’Arcy Harrison: Totally, I was bowled over when Julie Mains gave me five $70 gift certificates to Sugar Plum Spa. I’m surprised more people haven’t snatched them up. Ya know, she does man-zilians! And facials, sugaring and waxing. Seattle Star: Sign me up! I think the exciting thing we will be doing next in preproduction is shooting the video teasers. Seattle Star: Your walk on zombies get to be in the videos, right? D’Arcy Harrison: Yup, they do! And I work closely with rapper and singer Katie Kate. She is allowing to use her “Zombie” song for the teasers. It’s amazing. I love it and it will work so well for the promotional video. Seattle Star: Sweet. Cross promotion. D’Arcy Harrison: She does it for me, I’d do it for her but the song truthfully is perfect. Seattle Star: Agreed. And people seriously don’t know what they’re missing if they pass up the premium opportunity to go see Tori Amos with you. D’Arcy Harrison:I know right!?!?! Jeez… It’s a bargain, I tell ya and Tori and I have really high cheekbones… We could cut you with them! Seattle Star: Best cheekbones in Seattle. D’Arcy Harrison: Awwww, thanks. I’ll pay you later (laughs). Seattle Star: No need. Just keep being awesome. Once you’re done with this one, do you have any firm plans for the future of VAP? D’Arcy Harrison: Well, we are a project by project company so I think a show every 1-2 years is where we are at. But I am also heavily involved with Pocket Theater who we are performing LITTOZ with I do my best to see a lot of theater, support theater, contribute to theater. We are planning on doing a monthly reading series to help develop new scripts at Pocket, rotating small companies who are looking to get inside and outside feedback to make their scripts stronger for production. I consider all of this ongoing work for VAP but maybe next time…I will direct. Seattle Star: Ooh. Excellent! I should hire you to be on one of my shoots. D’Arcy Harrison: Well, since I do hair and have a short background in modelling, I can help with that a lot! Seattle Star: Spread the love. Anything else you want to say to lure people in at the 11th hour? D’Arcy Harrison: Just that you make this show it will make you feel like there is Love in the Time of Zombies. Now stop walkin’ aimlessly lookin at yer smartphone and come see some raw and intimate theater at Ballard Underground Saturdays at 10pm in June!